A 9 1/2 inch statue of the Songbird. 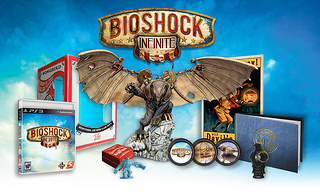 The Premium Edition will include everything listed about excluding the Songbird statue and will cost $79.99. Now that's a lot of swag. Quantities are limited so get those pre-orders in now. Head HERE for the official announcement or HERE to pre-order.